Hi guys! It's truly been a long hiatus, one that I don't plan on taking for a long time anytime soon. I've been super busy and life has just been so hectic that blogging has taken its toll on me to the point where I just couldn't do it anymore at the time. Life is still pretty hectic, but I'm ready to just step back into the blogging world again! ANYWAY now for the review! So FrostBlood basically sets up a world with frostbloods who know how to yield frost and the fire bloods who obviously can yield fire. However, the firebloods are basically extinct due to the frost blood tyrant leader. Ruby, a fireblood is one of the few left and her mother vouches to protect her from the tyrannical king. However, the king has his own frostblood enemies that want his rule to end, despite them being frostbloods. 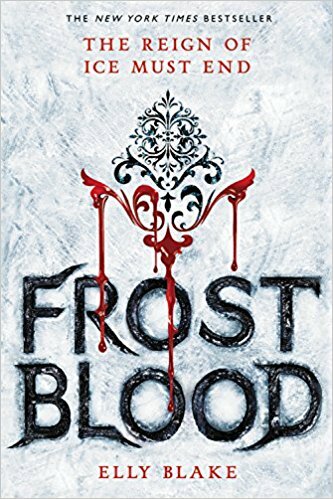 With Ruby left as one of the only firebloods left, the frost bloods want to use her as their weapon. Will Ruby be able to defeat the frost blood king when she barely doesn't know anything of her own power? So I've been on a major book slump so this was sort of the starter book I was going to read to get me out of it. Let me just start off this review by saying that this book in no way was terrible or bad. It was actually pretty entertaining and hey, it got me out of my slump so kudos to that right? Just want to let that out there before this review sounds harsh. So this book was pretty cliche and a ton of genericness. I mean, don't get me wrong, from time to time I dig that whole YA trope with the bad boy and the weak looking but strong on the inside girl who wants to go against the tyrant ruler so gangs up with a bunch of rebels kind of thing. But if you're just sick of that (understandable) then I wouldn't recommend this book. This book literally drips with overused dramatics, storylines and plot twists (?) that are used countless times. There weren't any particular powerful lines that really gripped me, the character development was honestly pretty meh and the romance was so abrupt and bland that I found myself a tad bit bored. 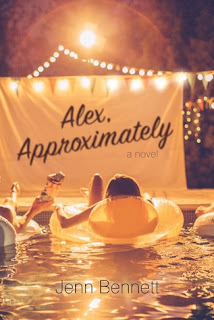 The only thing that pushed me through this book was the fact that I knew that I has to finish a book tog et out of a slump and sure enough finishing this book did that for me. 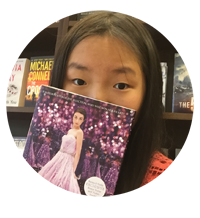 This was a pretty harsh review for a book but then again I'll say this: if you're pretty new to the YA community, then give this book a go. You might actually find it somewhat entertaining. But if you're like me and have read hundreds of books in this genre, then yeah, Use your time on another book. I give this one a 2.8/5 stars. Thanks for reading and I hope you guys enjoyed this review!